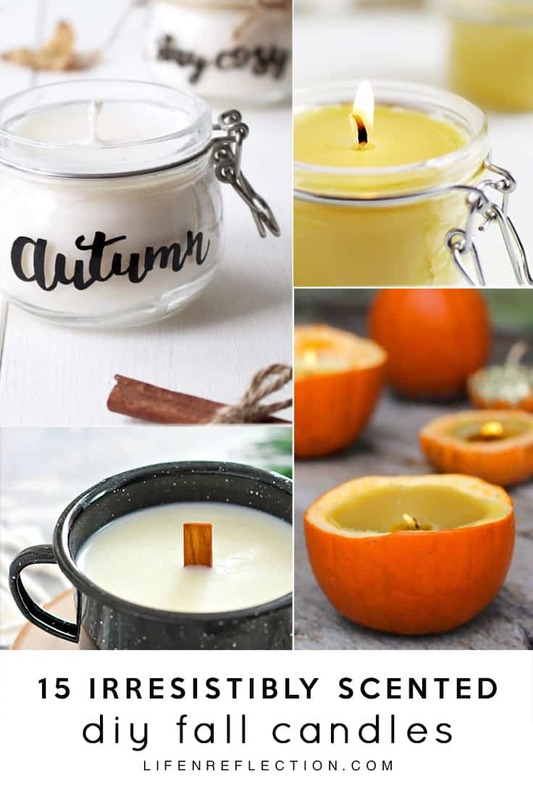 What are your favorite scents for Fall Candles? Who isn’t drawn to colorful fall foliage, apple orchards, fall festivals, pumpkin patches, and cool crisp nights the season offers? Now that we are well into fall, I’m enjoying anything and everything fall related to extend the season as long as possible. Fall is by far my favorite season and it always seems to end too quickly. And making fall candles is one of the ways I’ve found to enjoy it longer. This post contains some affiliate links for your convenience, read full disclosure policy. Unfortunately, many store-bought fall candles are filled with chemicals such as carcinogens and phthalates (Farley, 2016). Never heard of phthalates? Well, they are hormone-disrupting chemicals that are a health risk to all ages (Powers, 2007). Phthalates are known to aggravate asthma and are linked to increased incidences of breast cancer (Stuart, 2016). Bad News, Right! After dragging my feet for too long, convinced candle making was a very complicated process – I went all in! I read everything I could about candle making and how to scent candles naturally. It was much easier than I had anticipated. And the good news is we can leave the chemically made candles at the store and make our own candles! 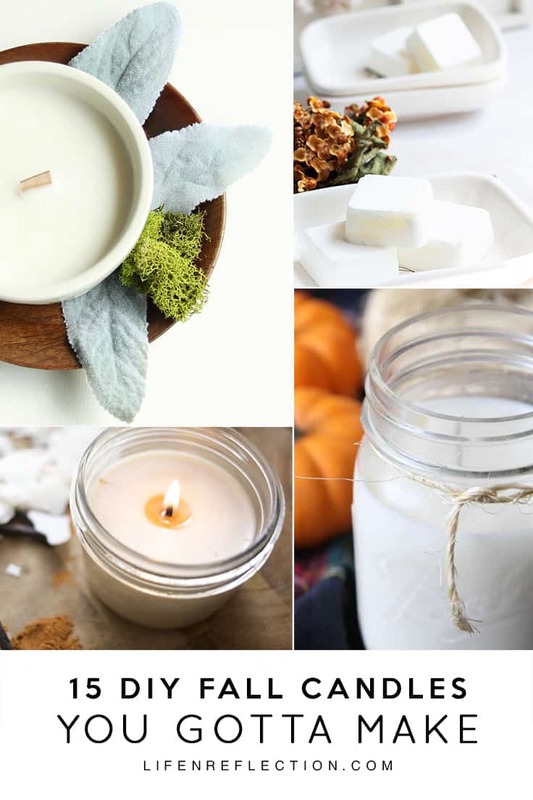 Essential oils are one my favorite ways to scent candles, don’t miss my top five essential oils for fall including the printable reference guide in the Life-n-Reflection Resource Library. Use it as a reference list of essential oils for Fall to help you create your own Signature Fall Aromas. 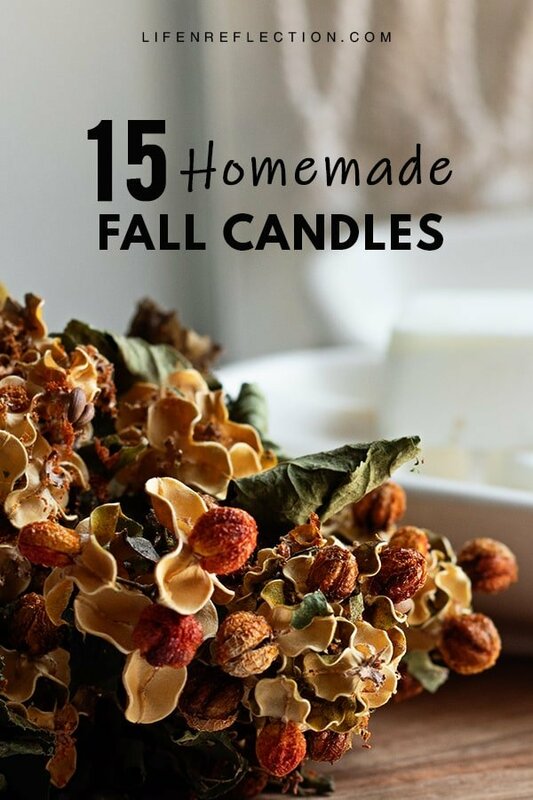 Irresistibly Scented DIY Fall Candles, You’ve Got to Make! For me, the sweet, spicy aroma of popular pumpkin spice is my must-have fall scent! Recently published in the Autumn Issue of Willow and Sage Magazine this recipe for Pumpkin Spice Candles is made with a combination of essential oils. Make a batch for yourself in an hours time! Rebecca Levander says the holidays are one of her favorite times to DIY. And her recipe for Orange + Rosemary Soy Candles is simple and satisfying to make. 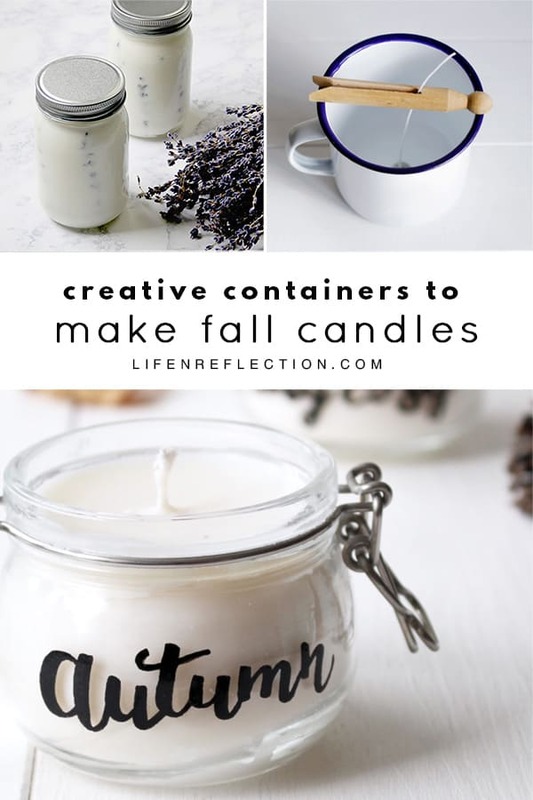 Make one these fall candles for your home or a batch to give a as holiday gifts. I love to sip a cup of hot tea and spiced chai tea is my favorite. Making my home smell like a cup of spiced chai is just about as good as drinking it. That’s how this recipe for Spiced Chai DIY Candle Melts came about. Turn your favorite cup of tea into candle melts too! Bring warmth into your home with the scent of Pumpkin Pie à la Mode Candles from Popsugar. Made with spices in your kitchen to bring subtle undertones of this favorite holiday dessert in your living spaces. Who knew you could make candles in a crockpot? Amy founder of Mom Advice says she’s been hooked on making candles in her crockpot since she first tried it. And she easily confesses to being a pumpkin spice addict too (same here Amy). Learn how to make slow cooker pumpkin spice candles here. Caitlin and Manda at the Merrythought love to keep things cozy with flickering candle light. 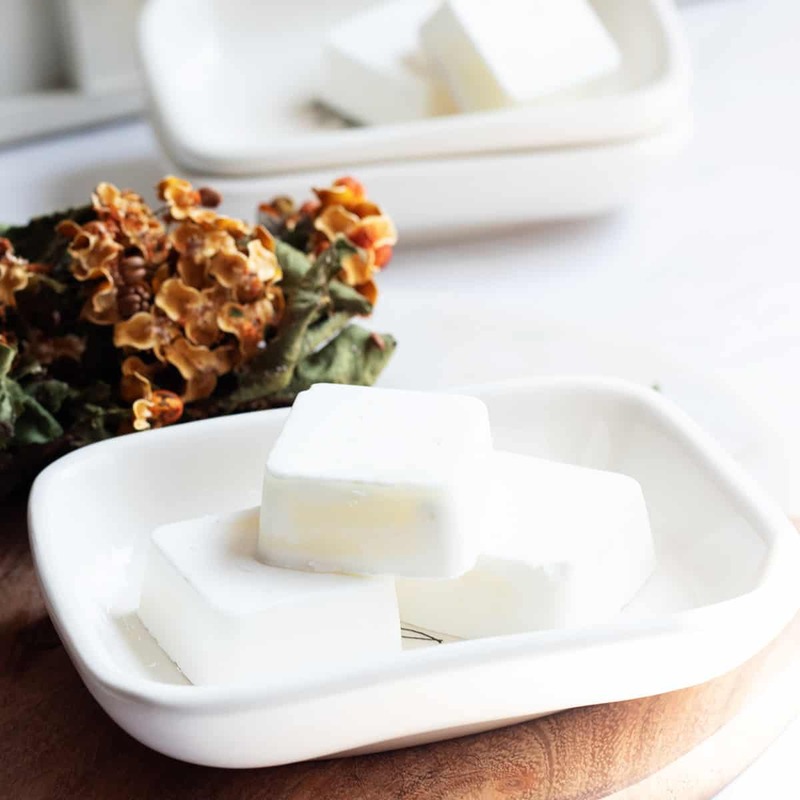 Their recipe includes a simple combination of beeswax and coconut oil. Try if for yourself here. Cyd at The Sweetest Occasion says she is partial to making candles with beeswax. She explains unlike unhealthy paraffin wax, beeswax can actually help purify the air in your home. And the natural color and scent is quite pleasing. Learn how she uses beeswax to make Mini Tart Fall Candles. This another great inexpensive option made with affordable kitchen spices, coconut oil, and beeswax. The result is lovely fall spiced candles that are perfect for filling your house with yummy smells, without using artificial fragrances or purchasing anything extra. Merissa at Little House Living says they only take a few minutes to make! Shaye at The Elliott Homestead goes into great detail about the way burning a beeswax candle purifies the air. 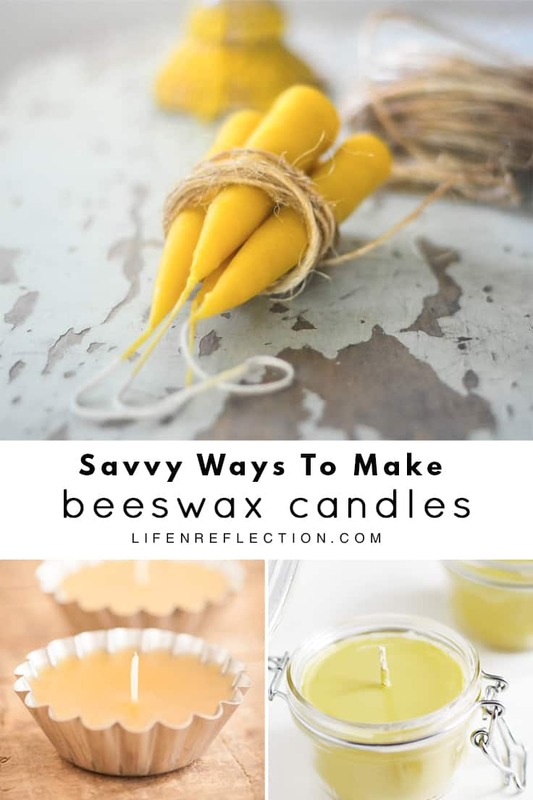 must-have read about it and while you’ll there learn how to make these gorgeous hand-dipped beeswax taper candles. Save your lavender cuts from the garden or purchase a dried bundle at the farmer’s market to make these natural soy pressed flower mason jar candles. Once you’ve learned the technique to make pressed flower candles you can experiment with just about any flower or dried herb from your garden. First hop on over to download a lettering template from Rosy. Then use the template and instructions to transform a glass jar like the photo in the picture above. Fill with any fall candle recipe here! Who can resist bringing home handfuls of little cute pie pumpkins? The creators at Hello Glow certainly couldn’t. But insteading baking a half a dozens pies they created adorable Cinnamon Pumpkin Candles. Do candles having a calming effect on you? Fran at Fall for DIY says it helps her slow down and focus. I couldn’t agree more! Fill a pair or two of adorable mugs with a tea infused candle from your favorite tea. Instructions here. Planning a weiner roast or any other outdoor party this fall? You’ll want a make a DIY floating citronella candle. Kristie at Saving Dollars & Sense says they’re an effect bug repellant. In fact citronella has been used for over half a century to repel various insects including biting flies, fleas, and mosquitoes. Instead companies add a citronella scent created by you guessed it – chemical fragrances! So check out Kristie’s recipe to learn how to use citronella the right way to repel insects! Create cozy feelings of comfort with a flickering Woodwick Campfire Mug Candle! Katie founder of Purely Katie recommends repurposing a vintage enamel mug like the one in the photo above for fun fall candle. Well, it’s officially fall, which means it’s time to put burning fall candles into high gear! Creating your own candles to match the seasons with essential oils and spices is too fun to miss out on. Which of these recipes are you going to make first? P.S. Find all my favorite Fall aromatherapy recipes in my book Aromatherapy: A Practical Guide for Home and Family. 18,000 copies sold and counting!